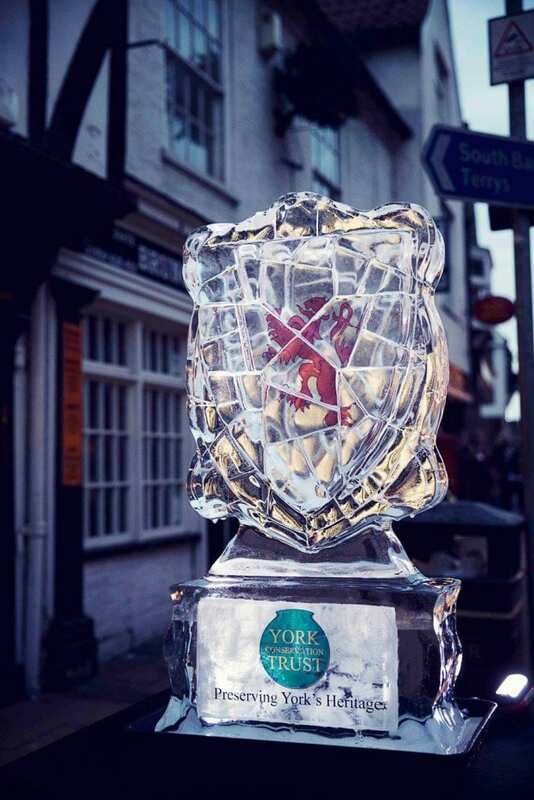 A Bigger & Better York Ice Trail! 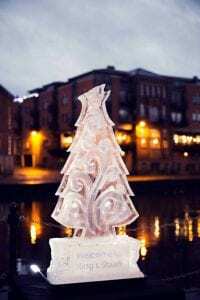 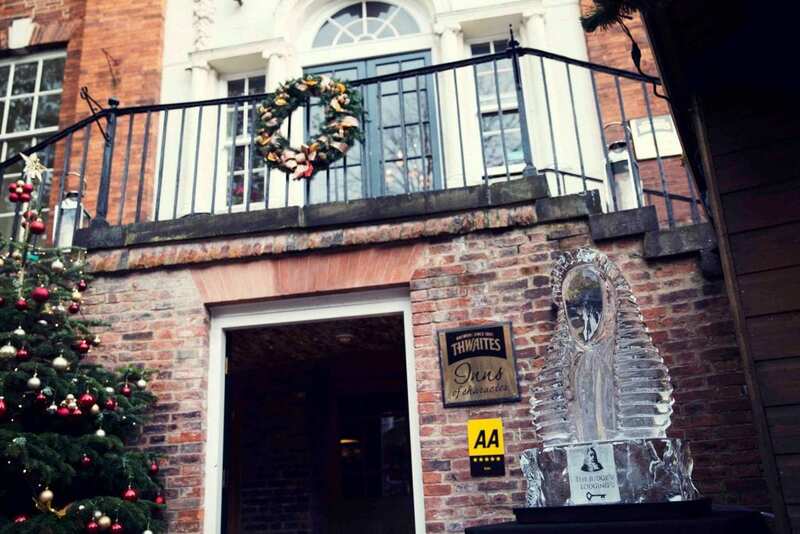 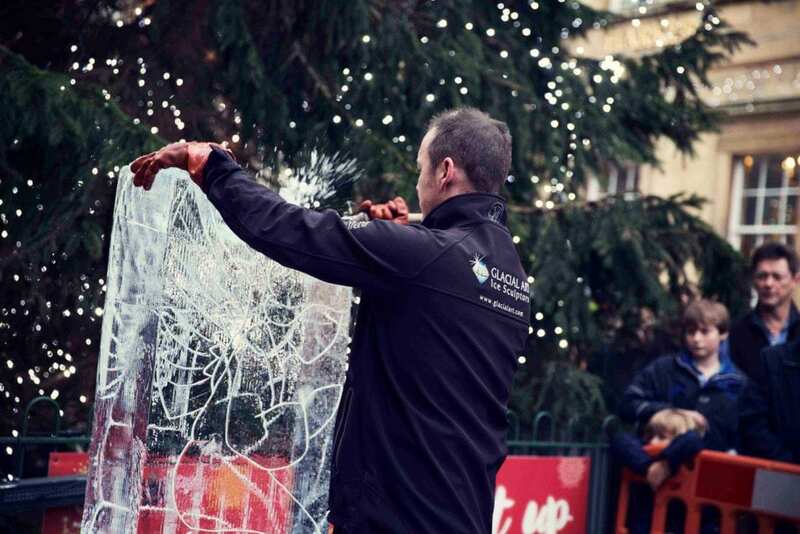 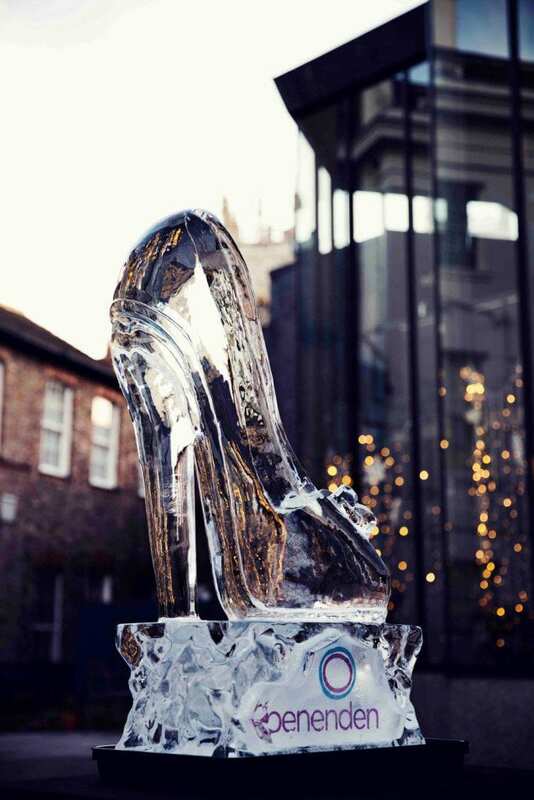 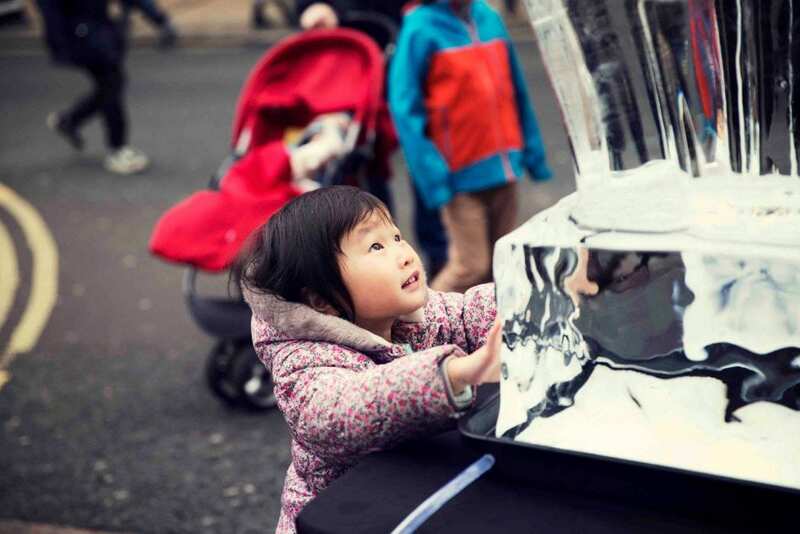 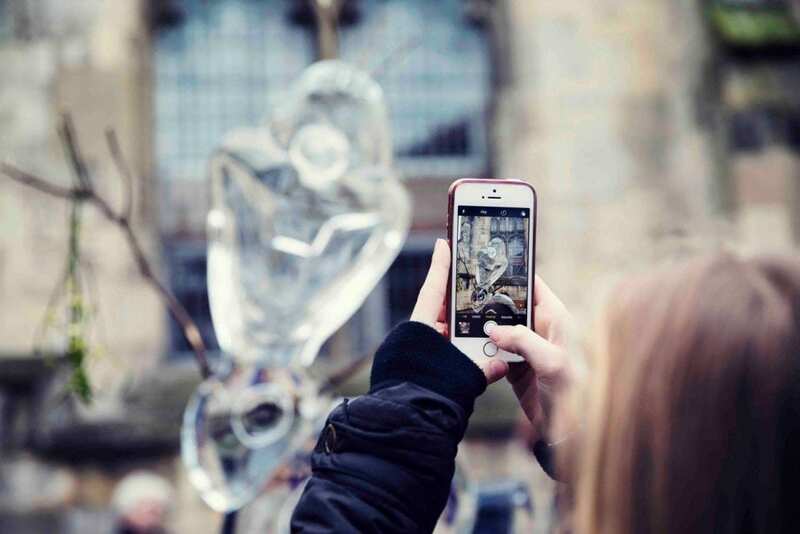 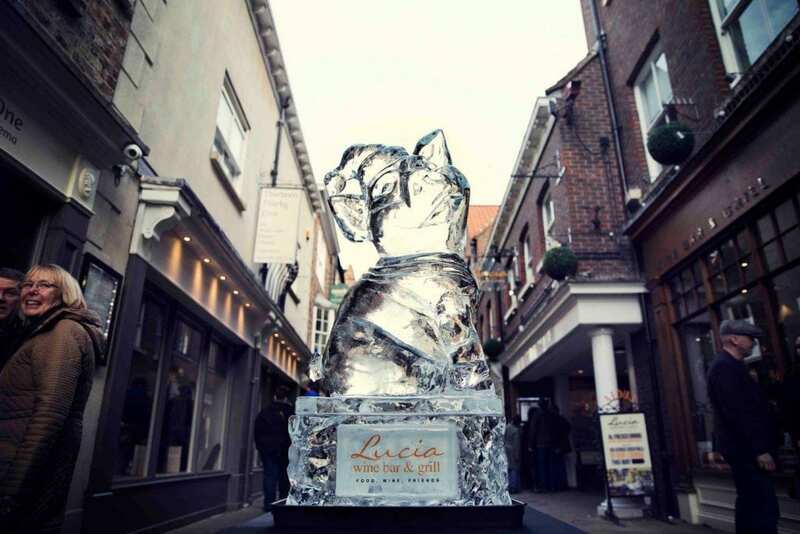 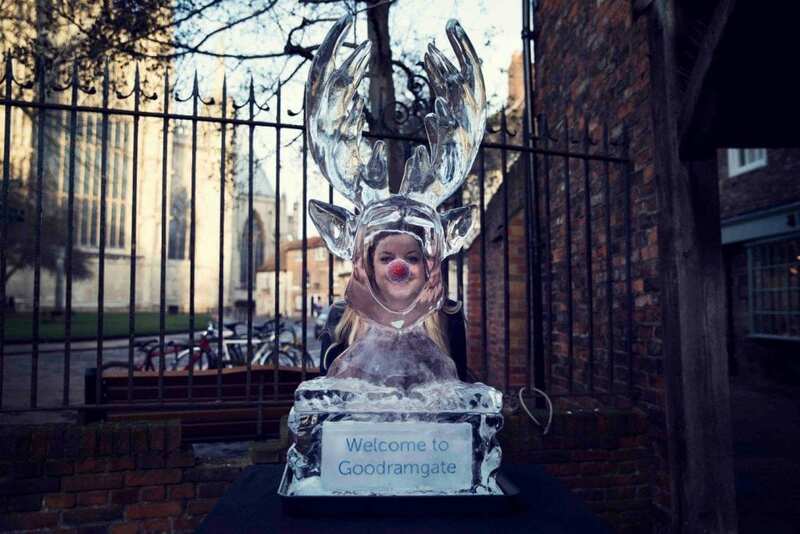 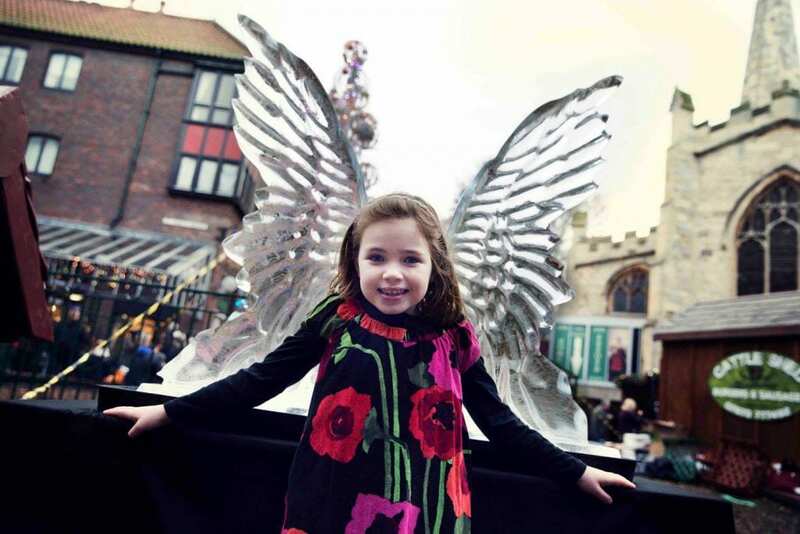 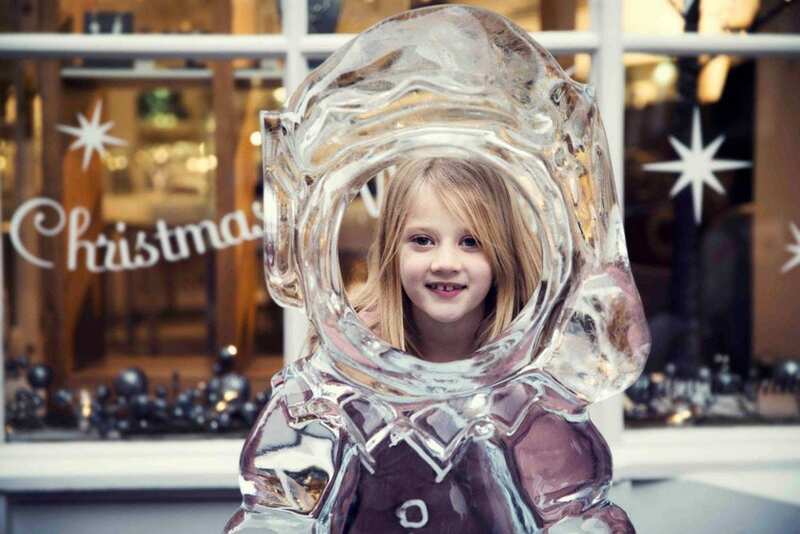 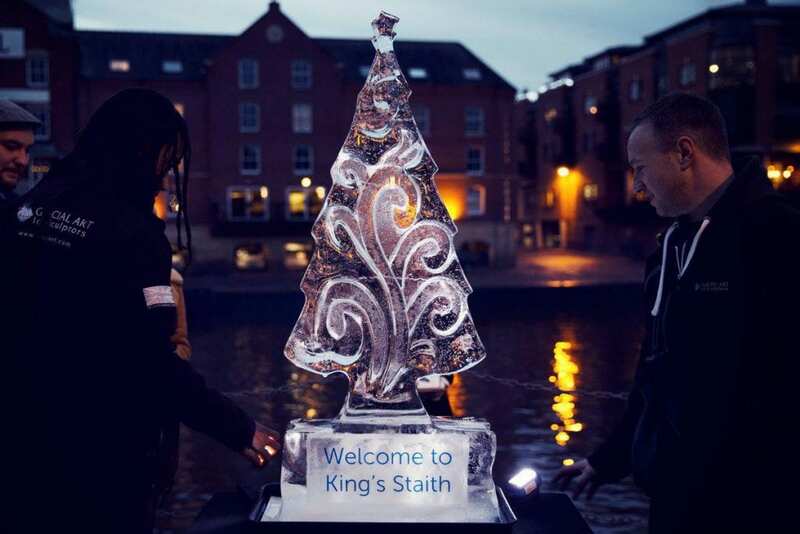 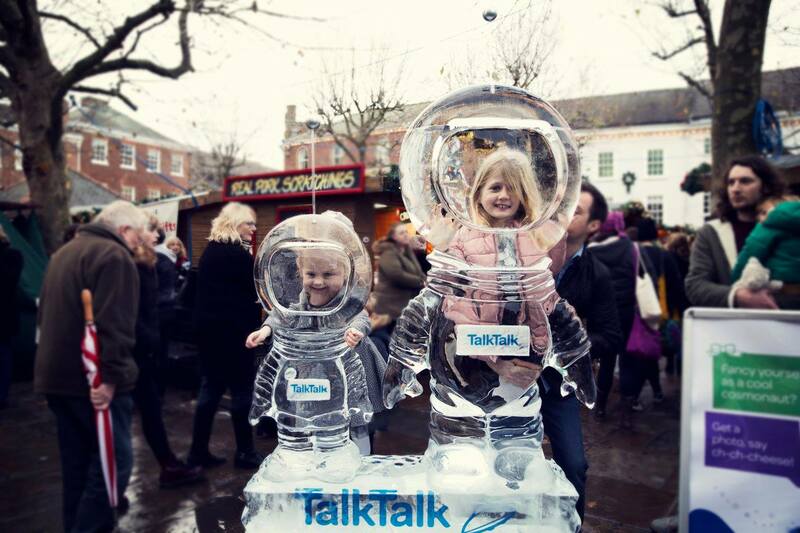 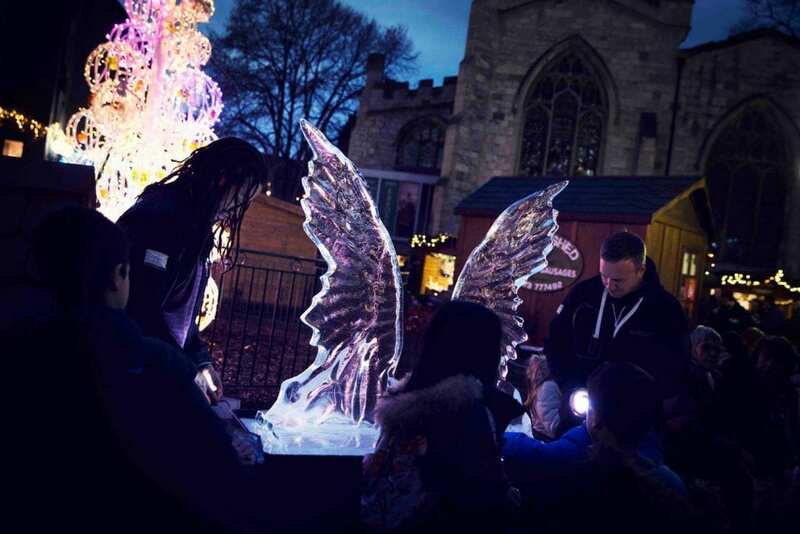 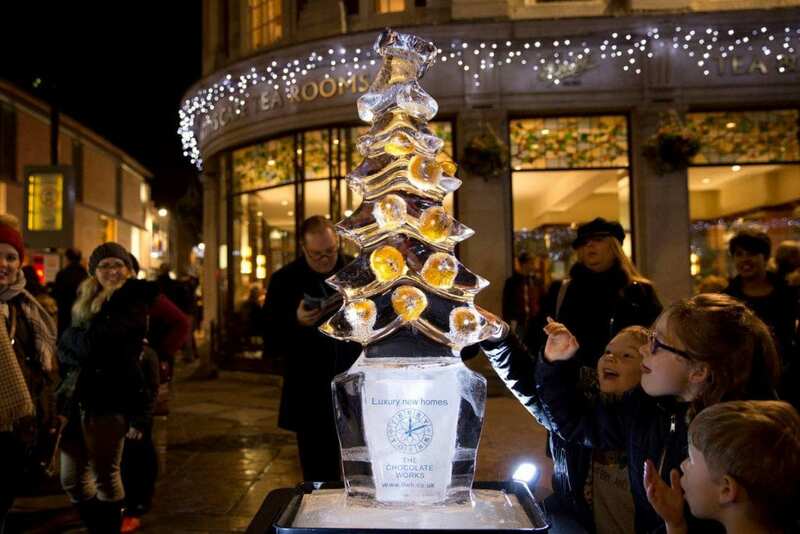 Being involved in the stunning city of York’s Christmas celebrations is always an honour – and to be solely responsible for their increasingly popular Ice Trail is incredibly exciting for us! 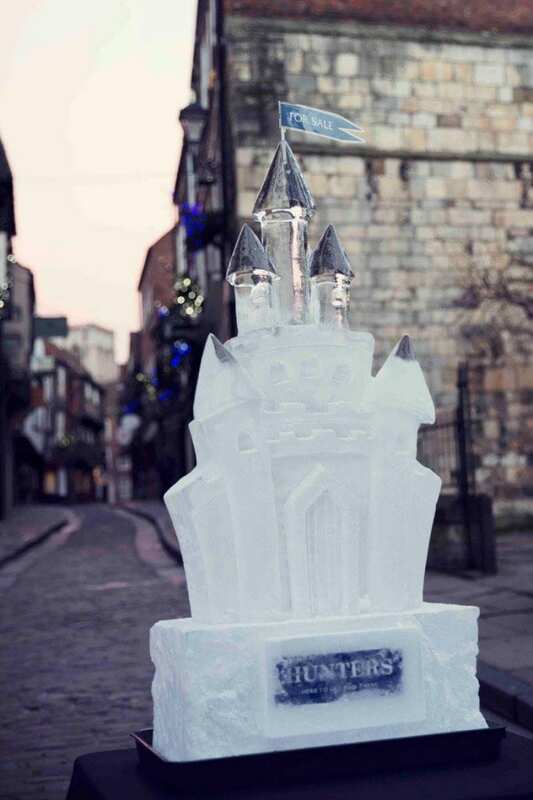 Bigger and better than last year, 2016’s York Ice Trail included 35 ice sculptures a day (a huge 70 in total! 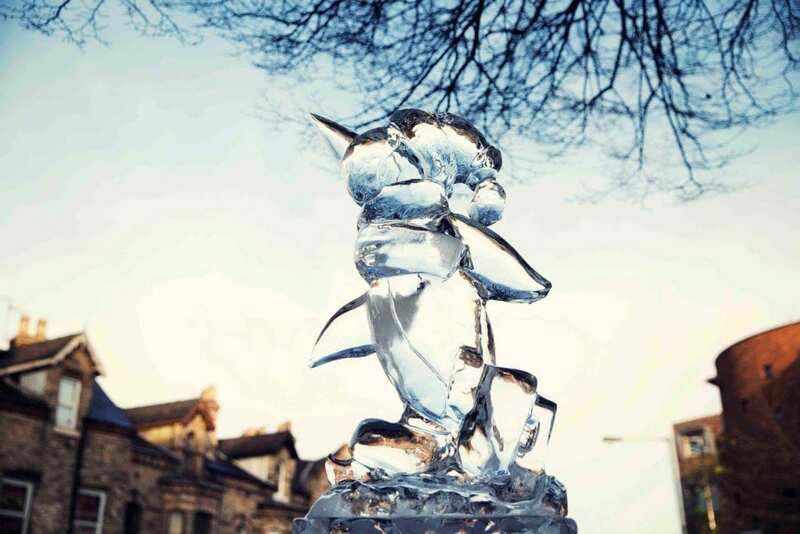 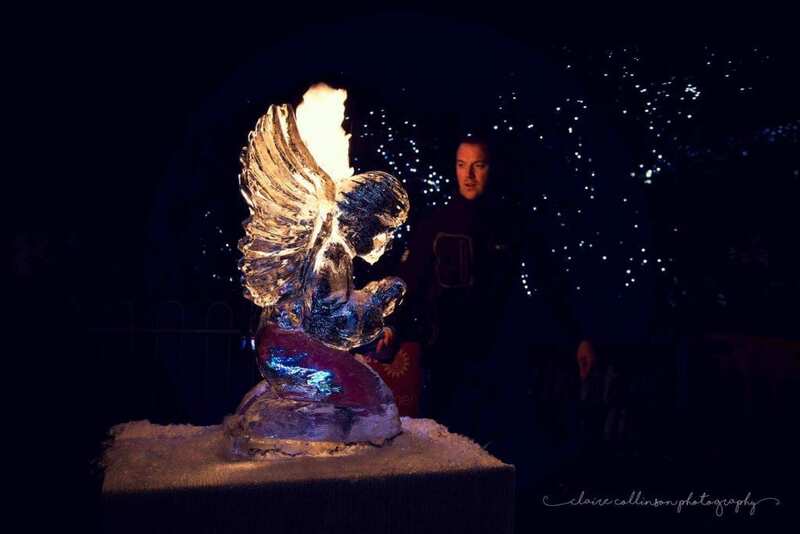 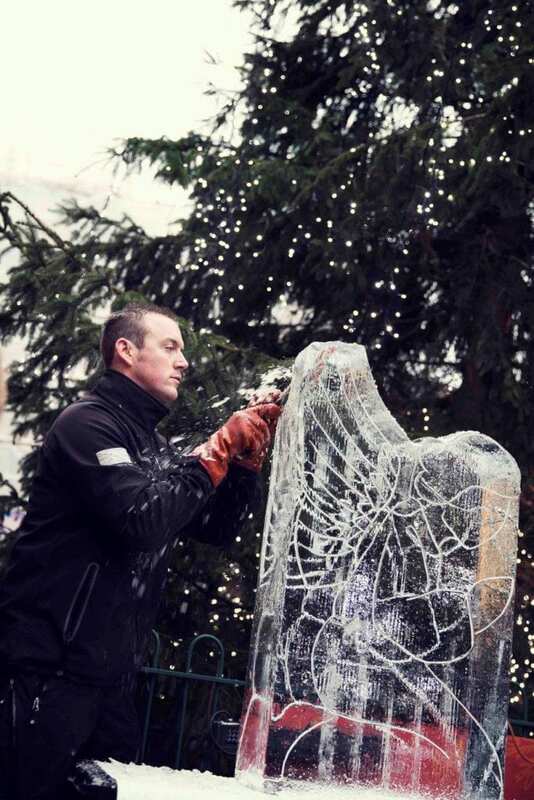 ), as well as live ice carving demonstrations both days. 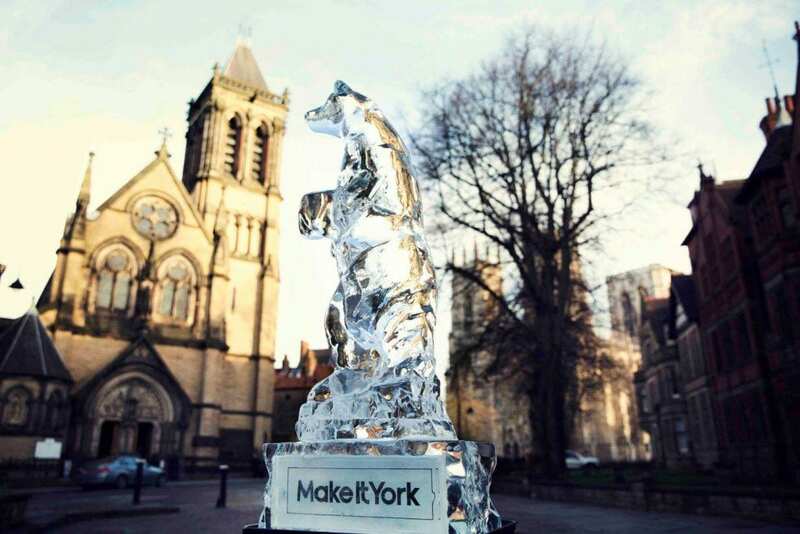 We’ve already been invited back for December 2017, so we’ve got big plans in progress – but until then, enjoy the pictures from 2016’s Ice Trail. 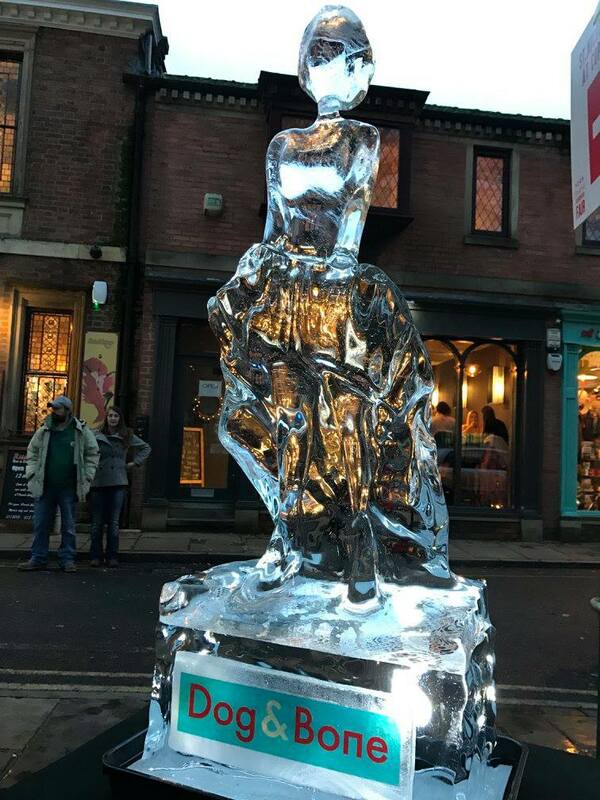 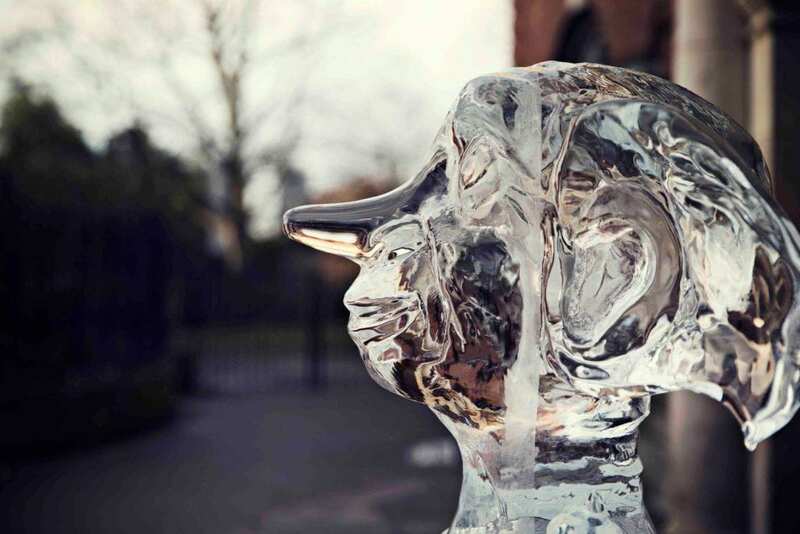 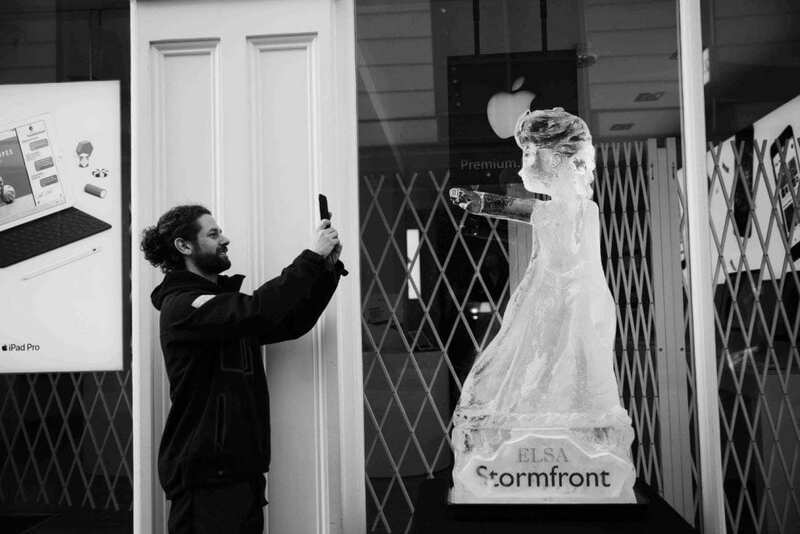 Held on the 10th and 11th of December last year, the majority of our sculptures were commissioned by local businesses, some of which were offering prizes over the weekend connected to their sculptures. 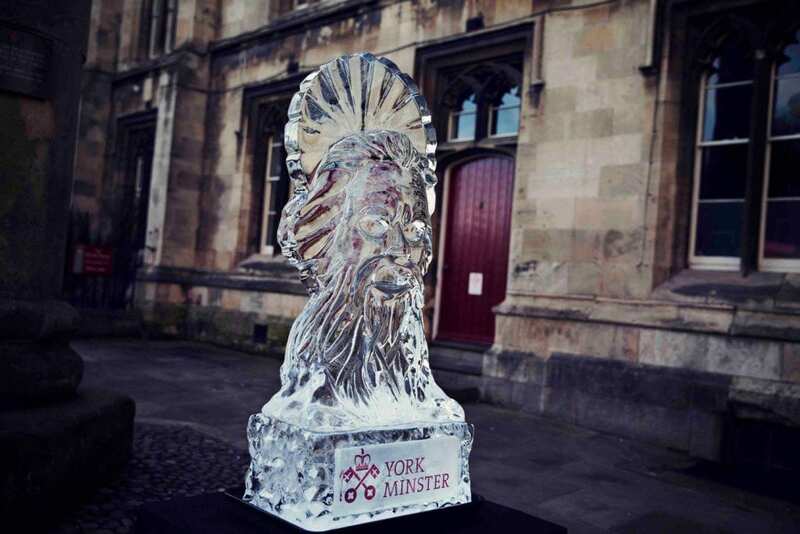 In addition to these, a further five York streets were added to the Trail, which now winds its way across most of central York. 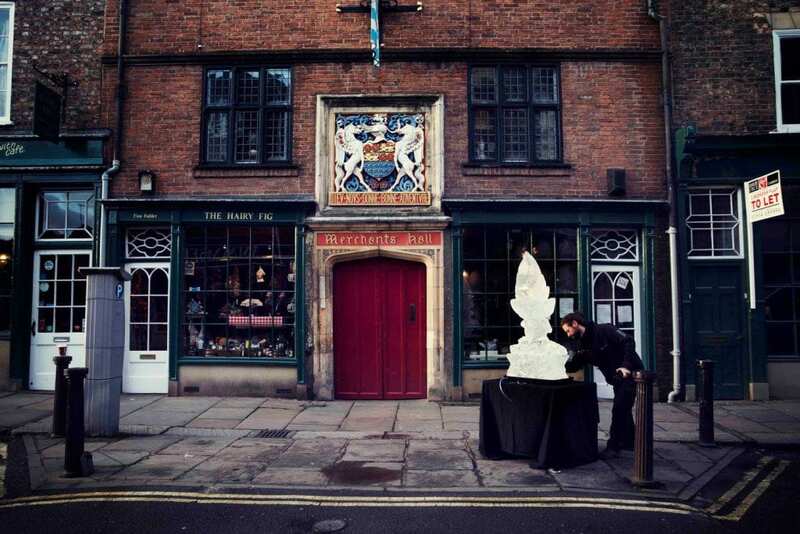 The Trail Map, available from the Tourist Information Centre, lead visitors from the iconic York train station, up through Museum Street and the Library into the centre of York, around some of the most popular spots in York – the Shambles, Coppergate, Petergate and the Minster – before ending up at the York Conservation Trust on Mickelgate. 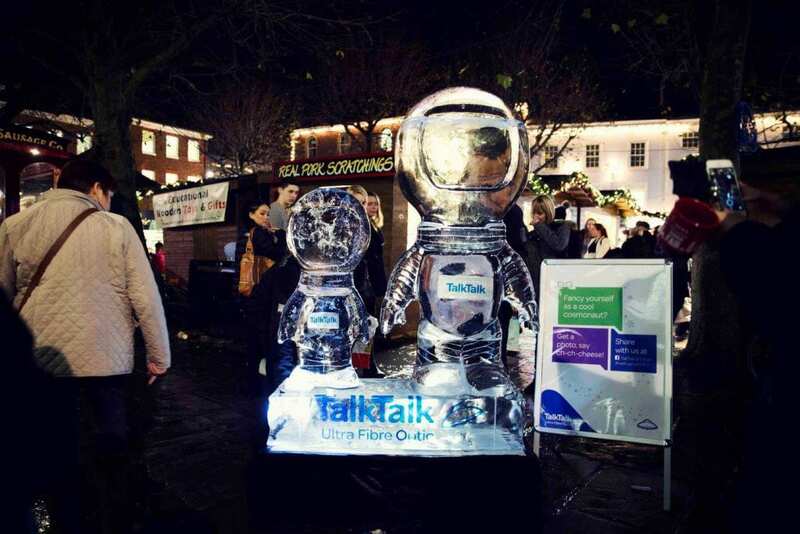 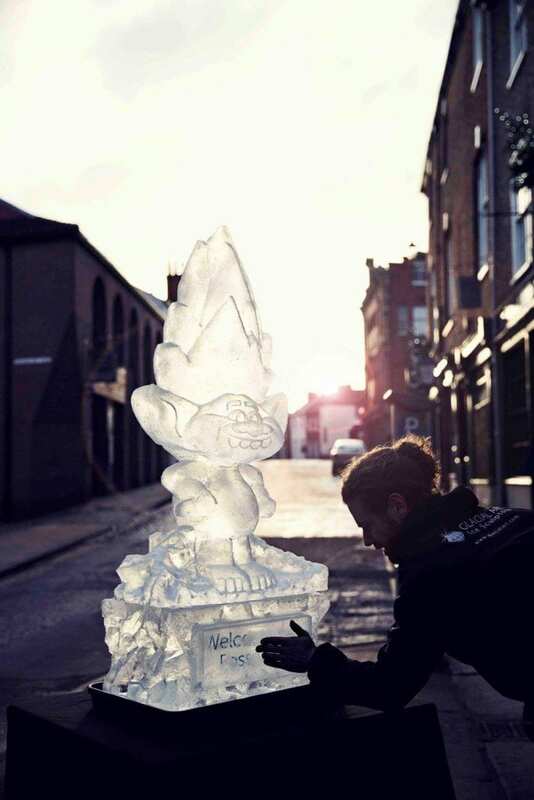 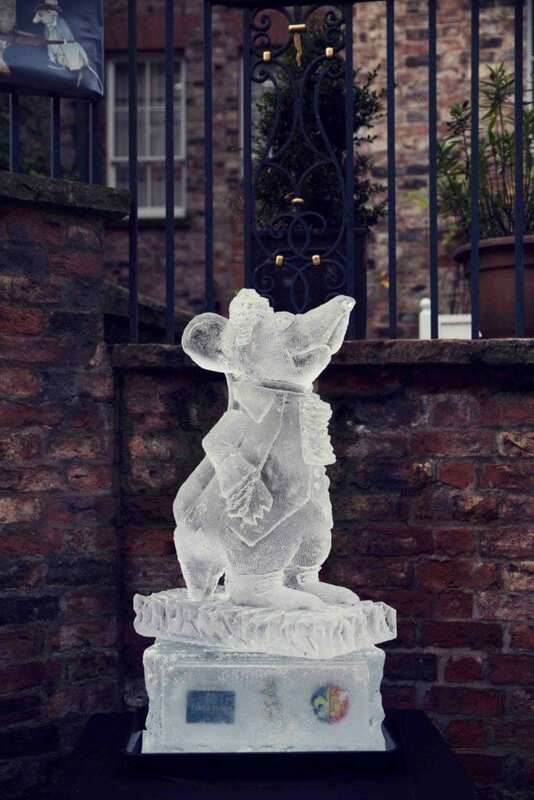 Over eight tonnes of ice were carved in the lead up to the weekend, a job which kept us busy for three months! 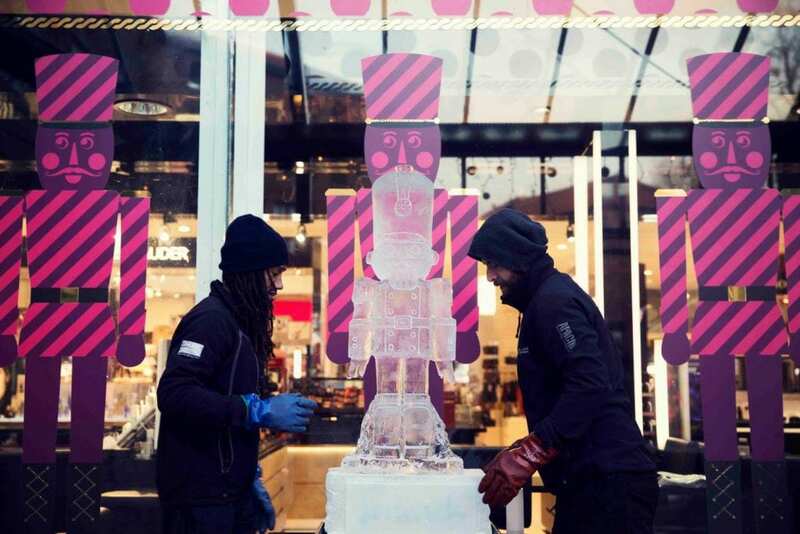 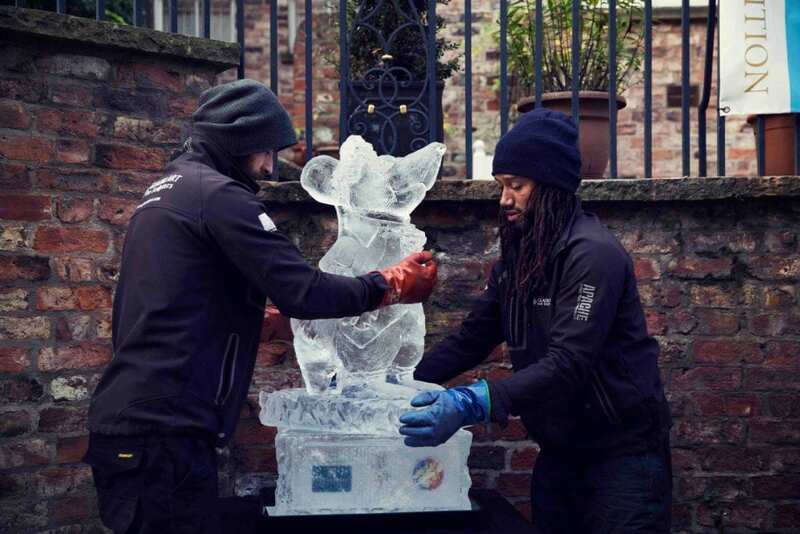 We also came prepared with fresh blocks of ice and our tools, to show the good people of York how exactly we create the pieces they love to find. 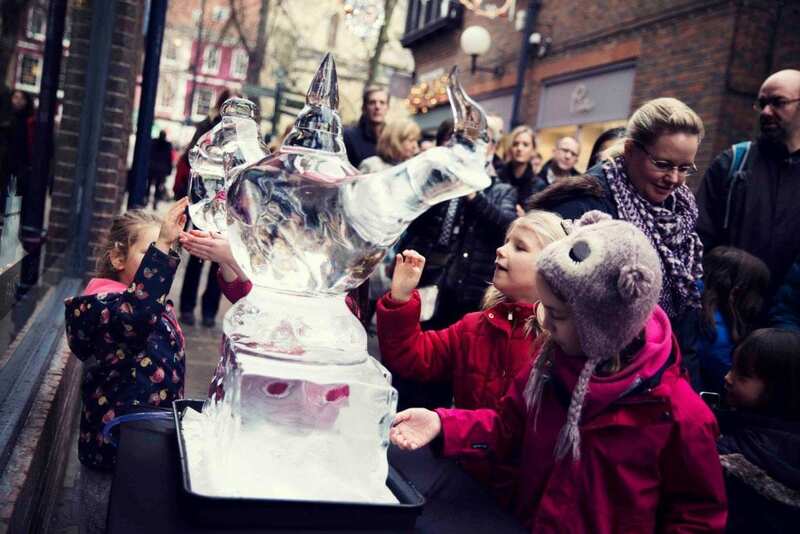 This year we had an even larger amount of interactive ice sculptures than last, which was great fun for the visitors but an additional challenge for us. 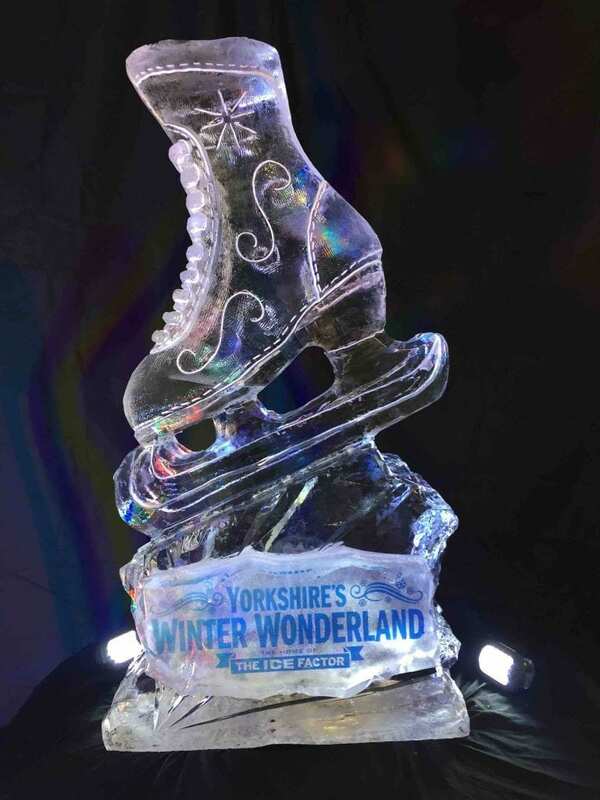 A combination of unseasonably warm weather and that insatiable human desire to reach out and touch the ice meant that they wore down faster than usual, especially on the Saturday – 12 degrees is not ideal, but 8 degrees on the Sunday was much better! 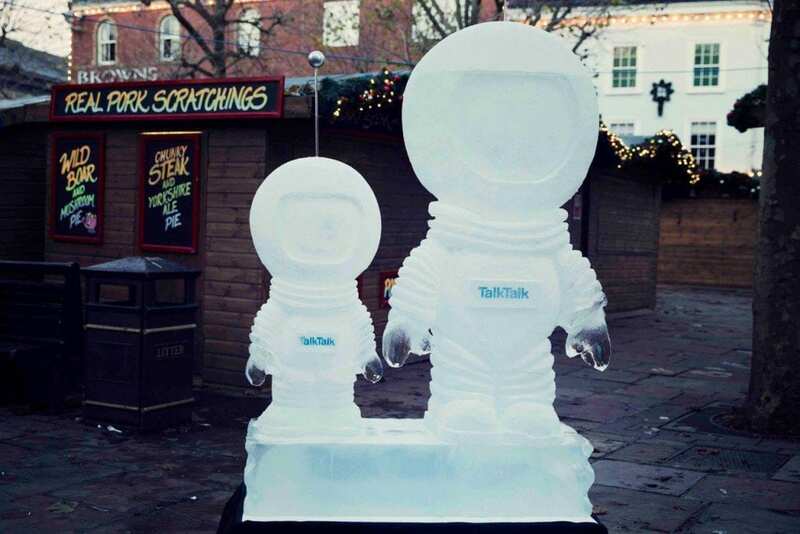 A few of the commissioned sculptures were used as the subject of competitions – by taking a selfie as the St Sampson’s Square astronaut, visitors could win an Apple iPad mini 2; guessing the value of Bradley’s ice-encrusted platinum and sapphire diamond ring could win you a gemstone; and the chocolate orange tree in St Helen’s Square offered £1000 of vouchers for reservations at David Wilson Homes. 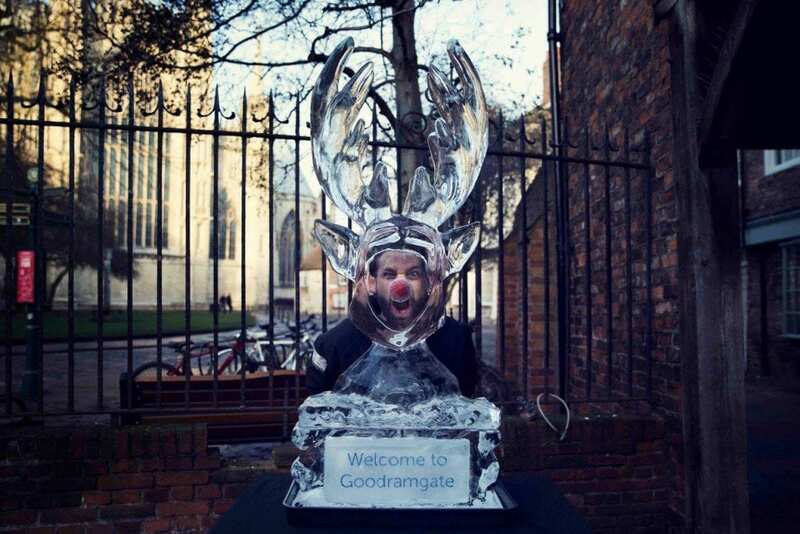 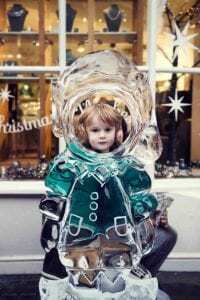 Among the interactive displays were our own icy versions of carnival cut-outs, transforming visitors into astronauts, angels, elves and Rudolph, complete with his red nose! 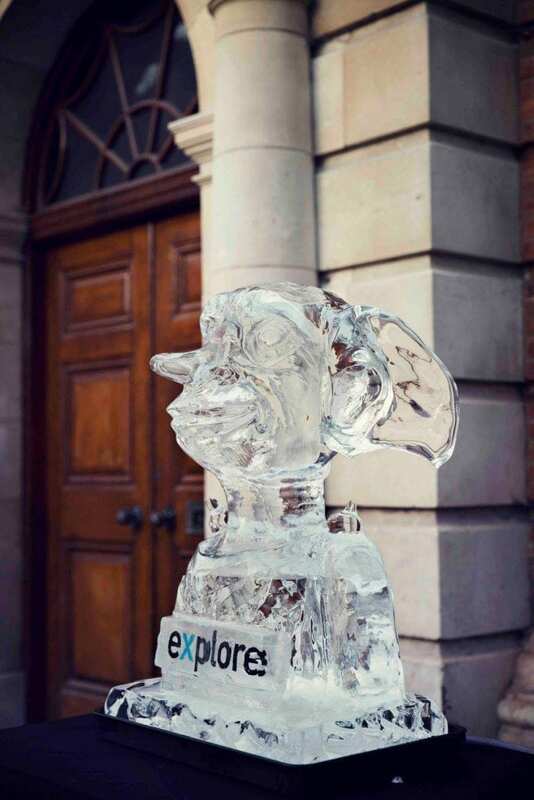 Pop-culture figures made an appearance, including Dobby the Elf, Marilyn Monroe, Gregory the Mouse, Branch the Troll and of course Elsa and Olaf. 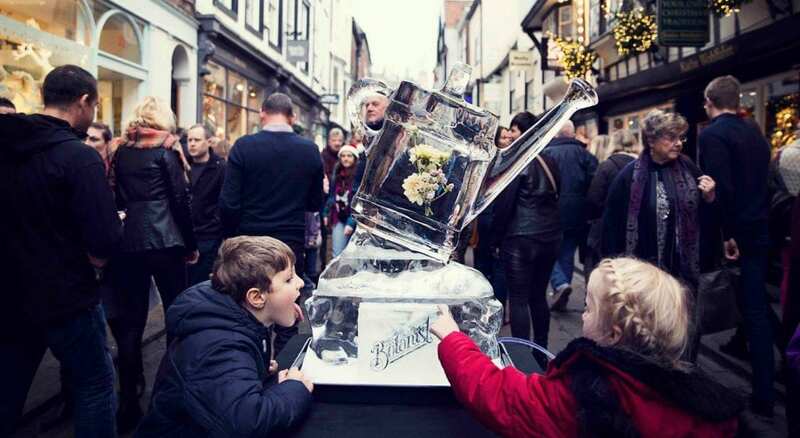 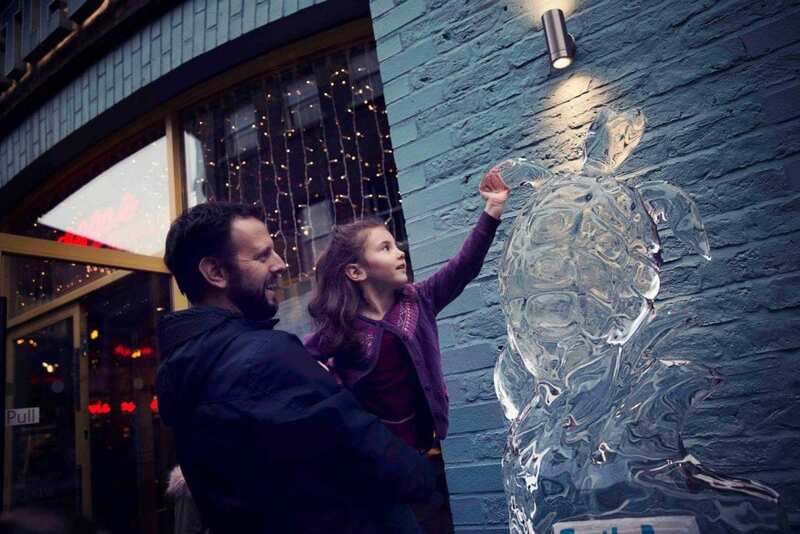 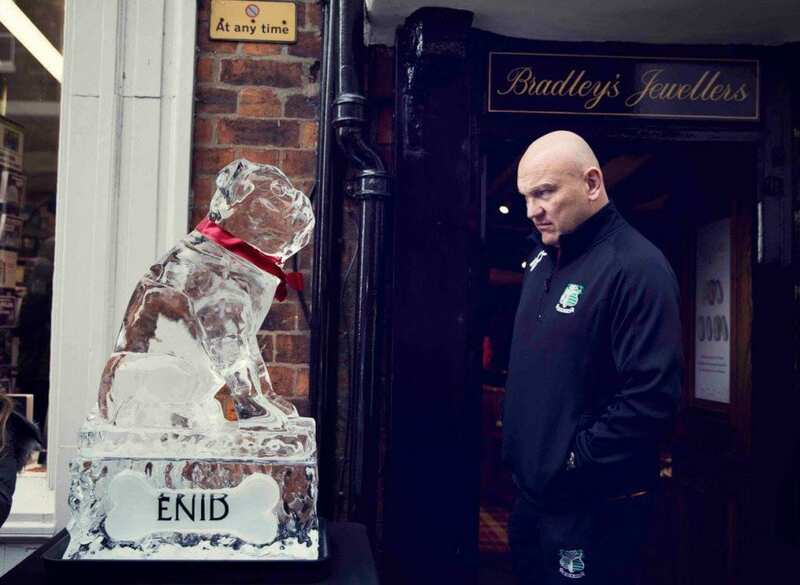 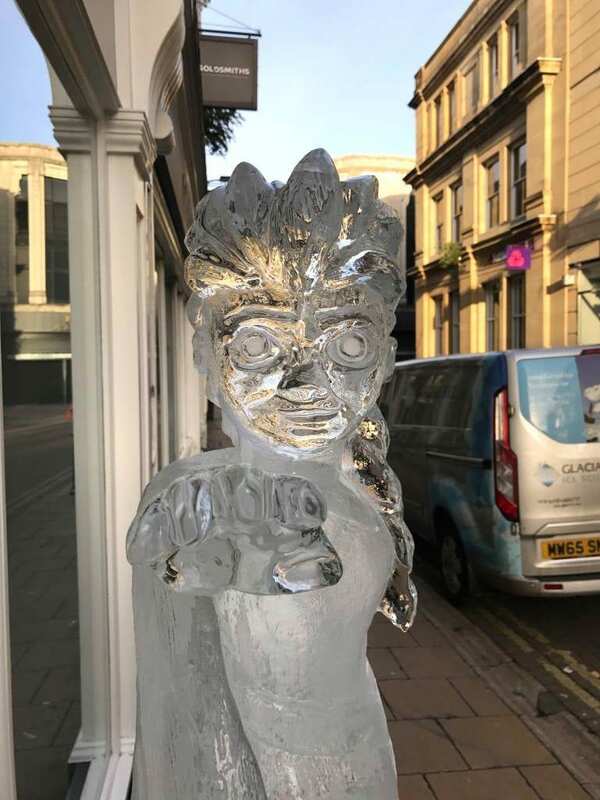 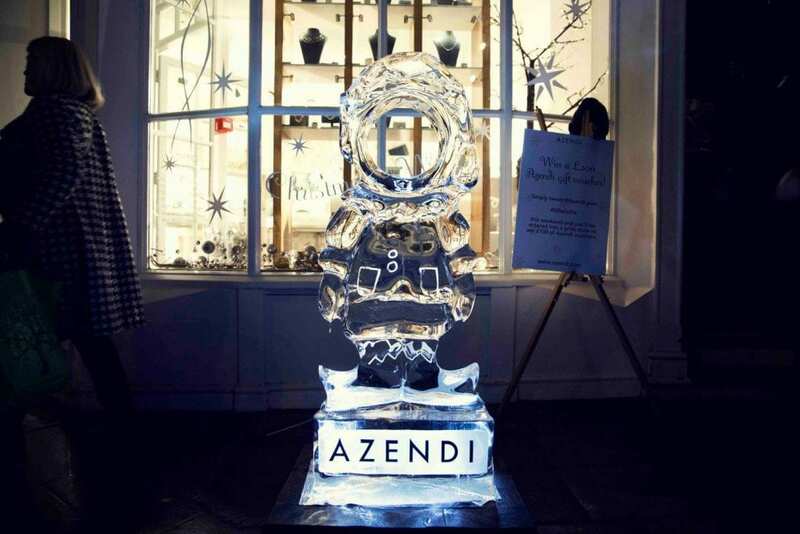 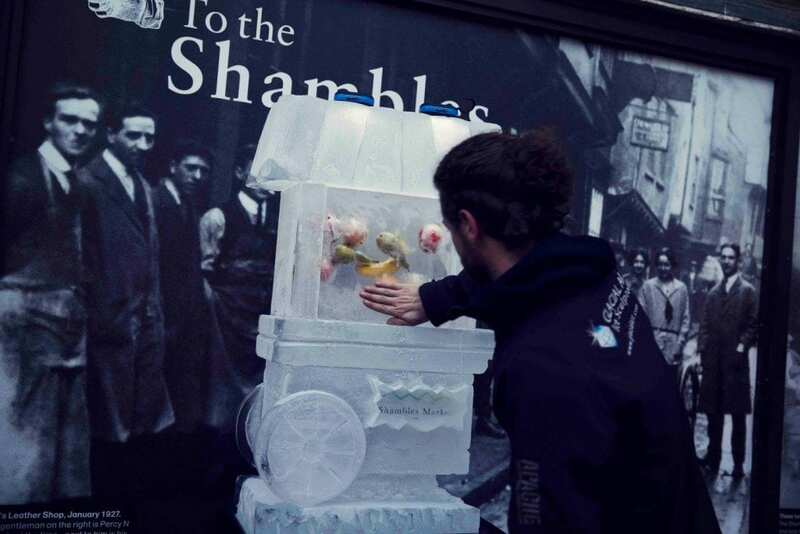 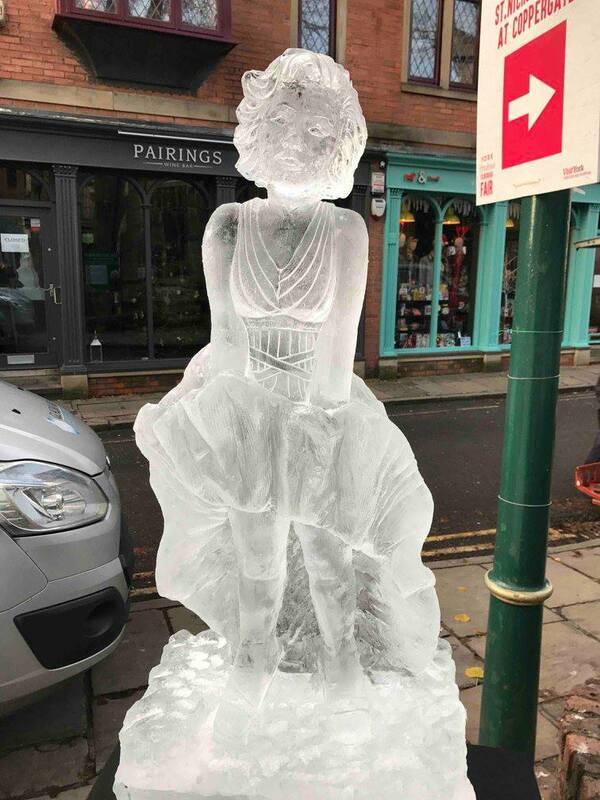 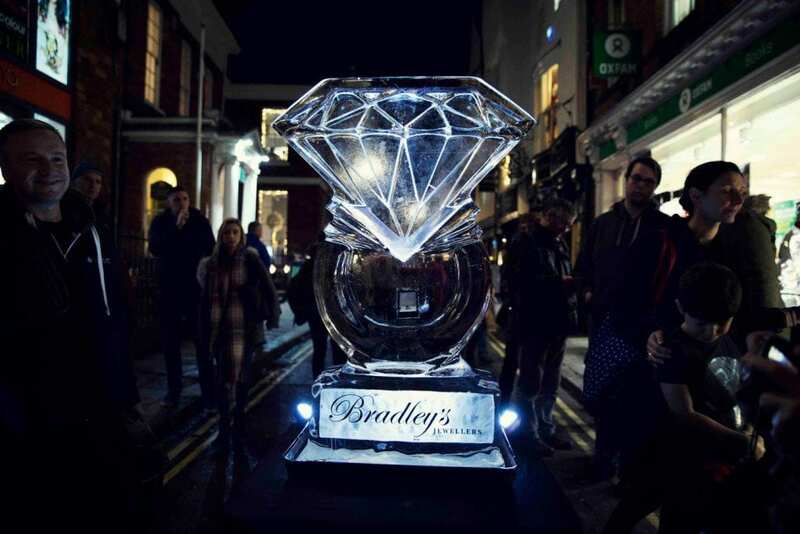 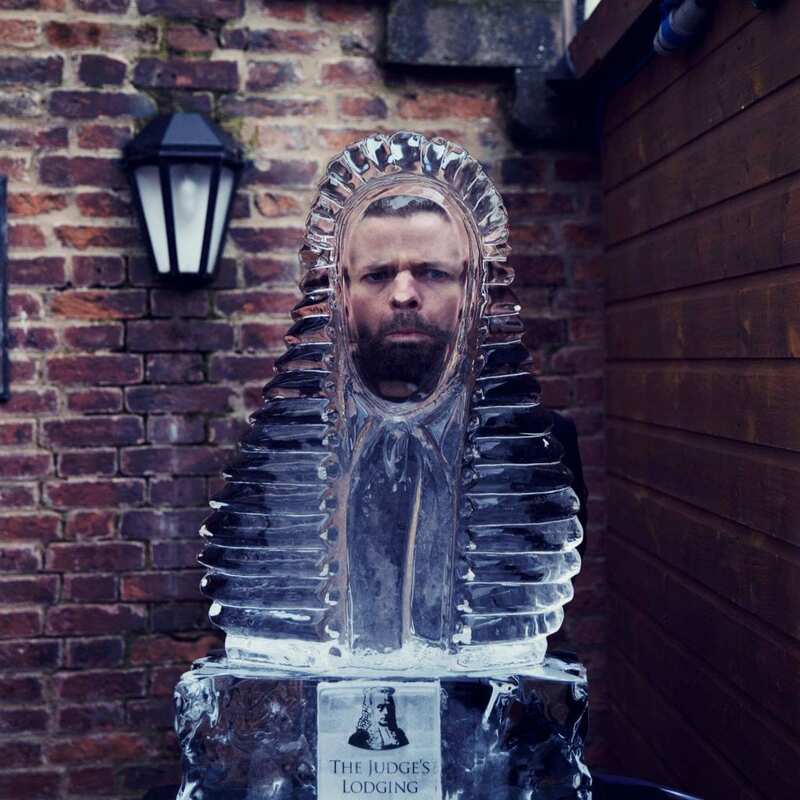 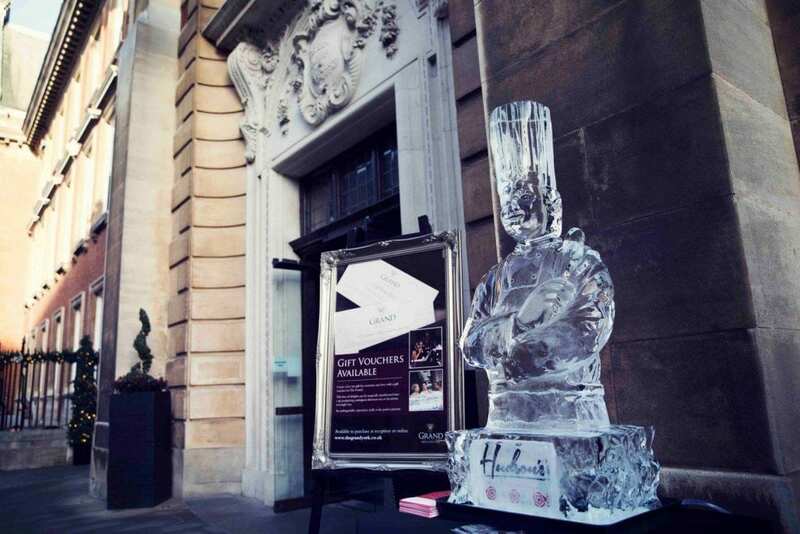 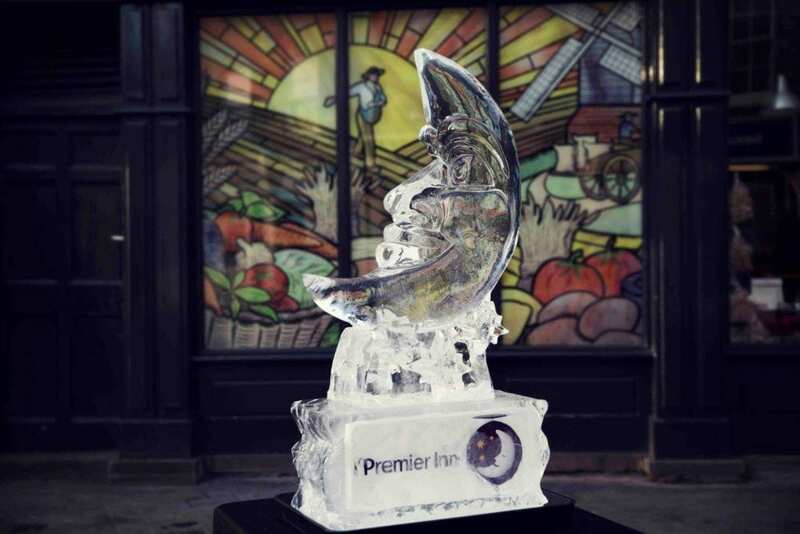 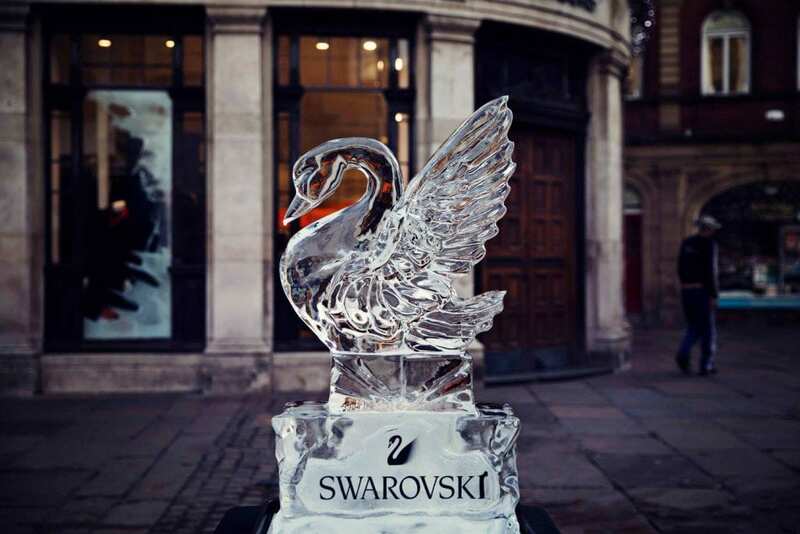 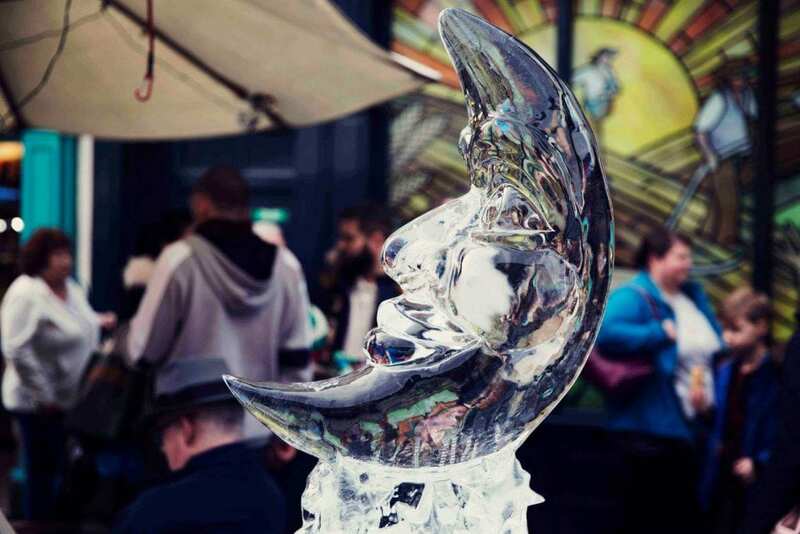 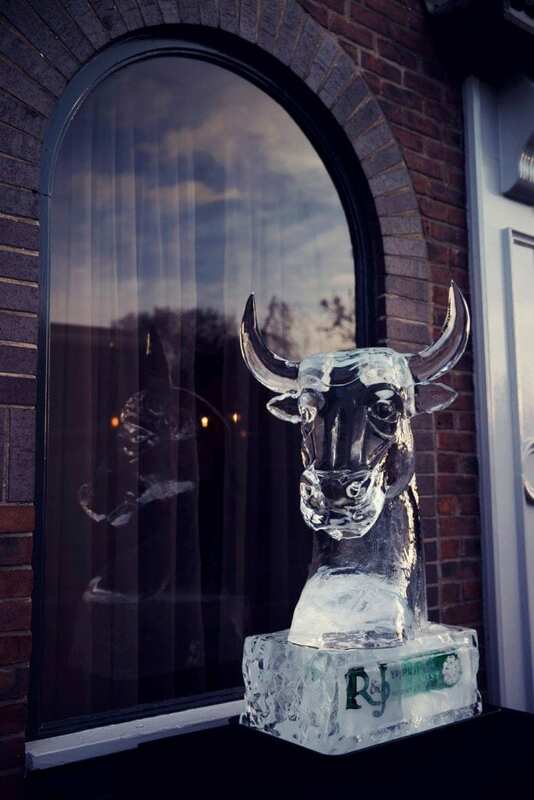 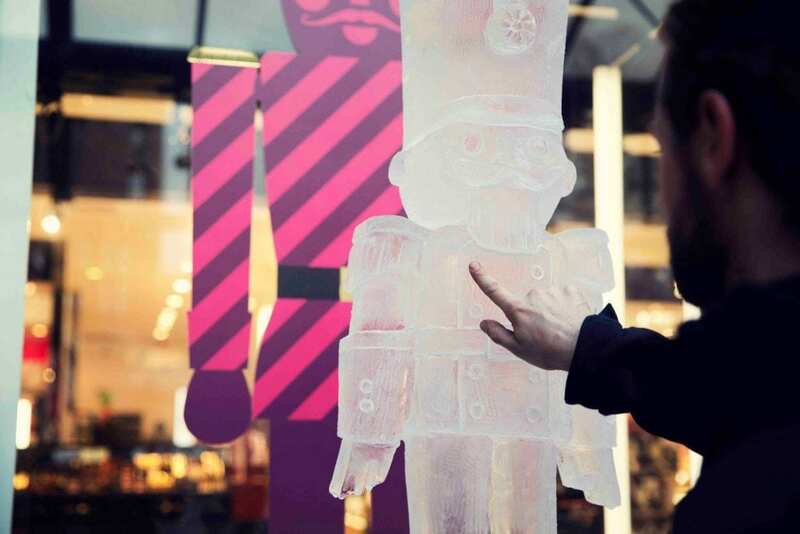 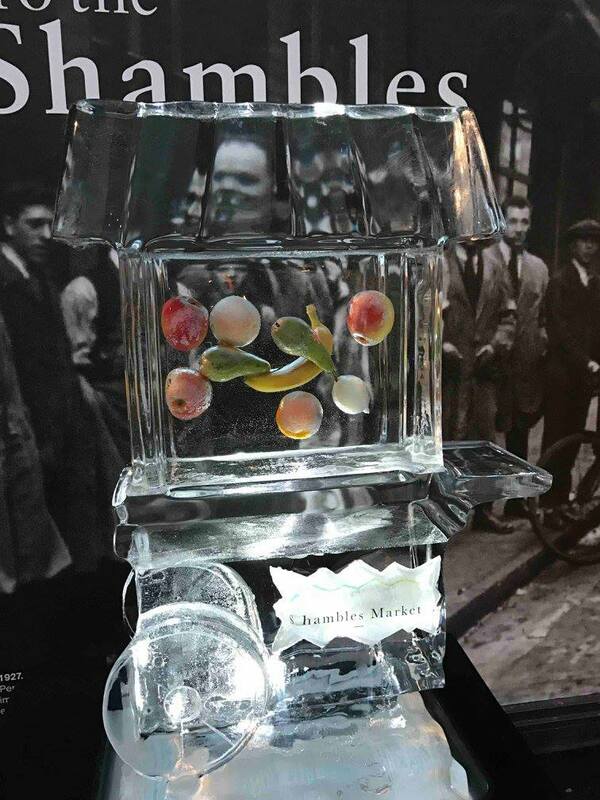 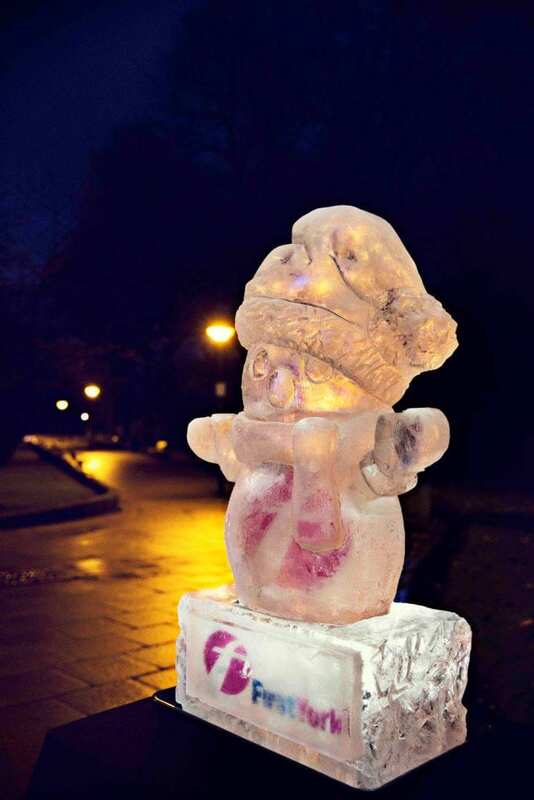 One of our favourite types of ice sculpture to create are those with items floating inside – they tend to captivate the crowds even more than the figures! 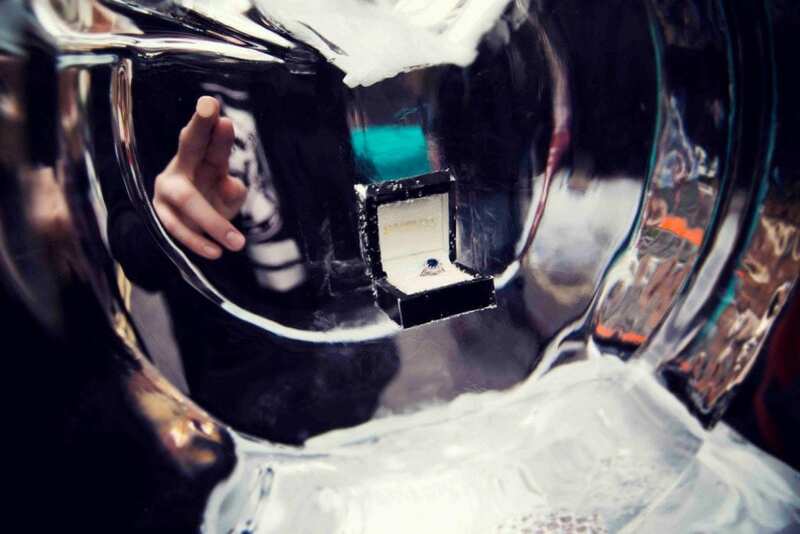 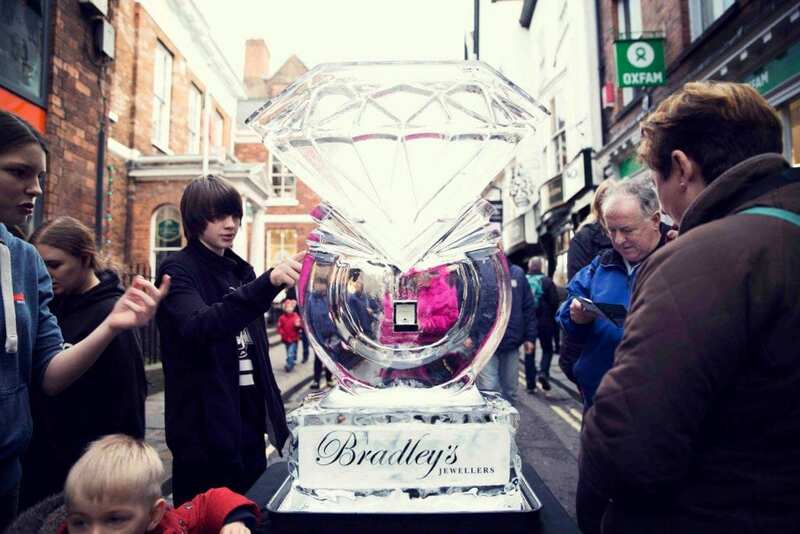 Encasing a sapphire and diamond ring inside a diamond ice sculpture was exciting work, especially as our crystal clear ice needed to compete with the glittering jewellery. 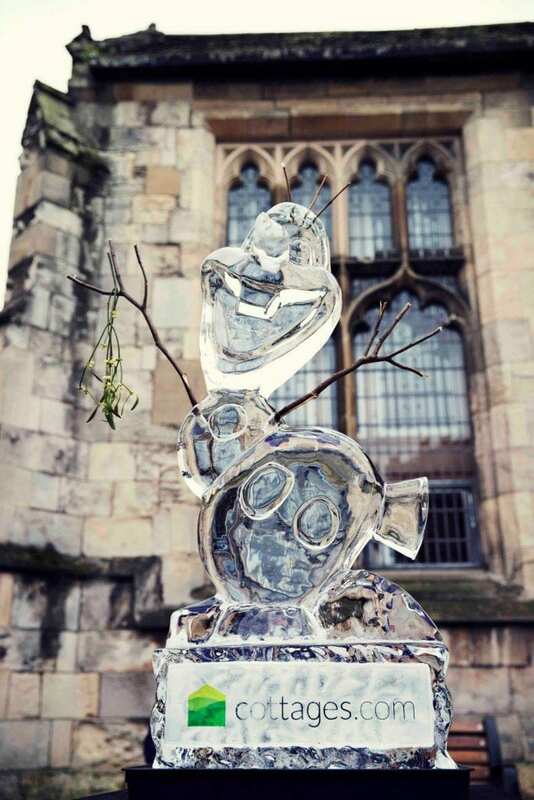 We also froze several chocolate oranges into a tree sculpture, fruit into the Shambles’ market stall, and flowers into The Botanist’s watering can. 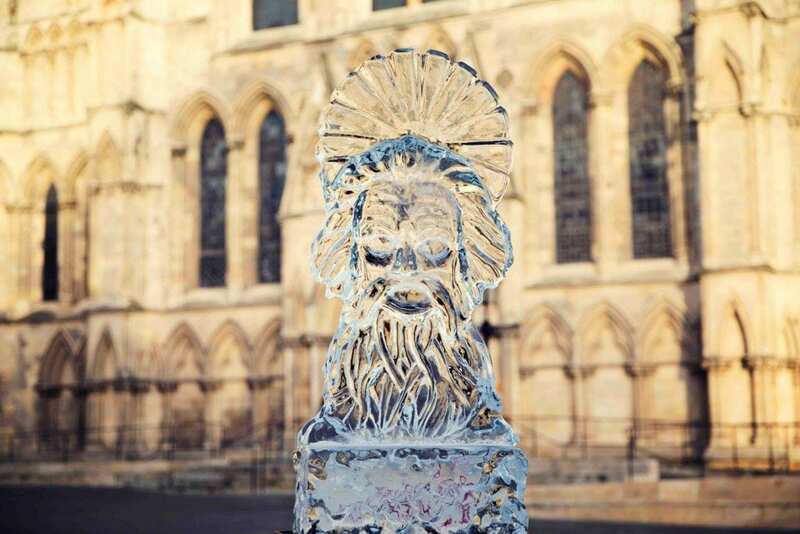 We’re very much looking forward to returning to beautiful York in December 2017 for another wonderful weekend of ice sculpture appreciation! 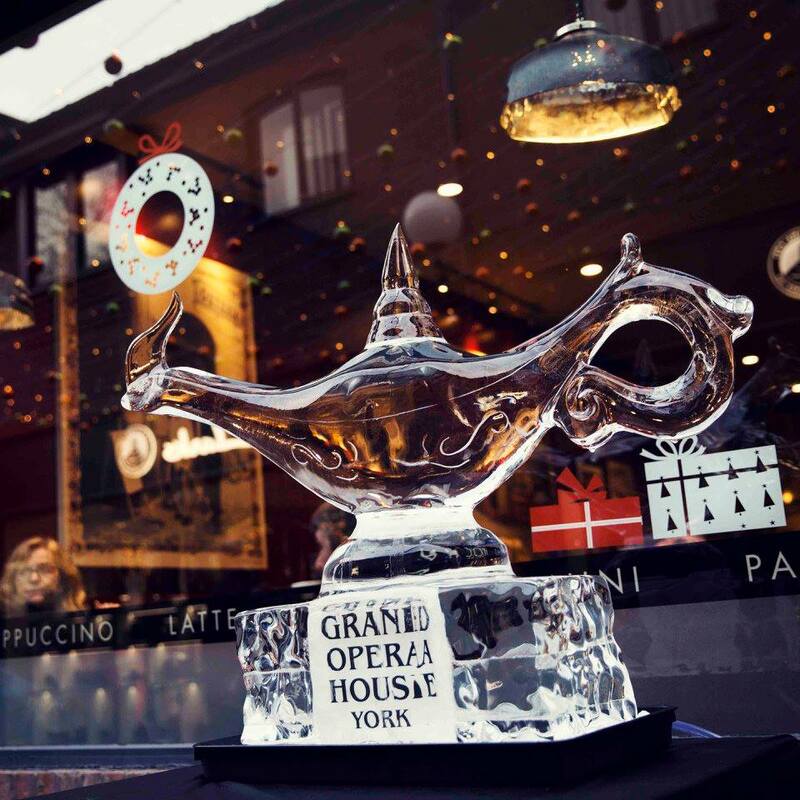 Aladdin's Lamp - Close Up!